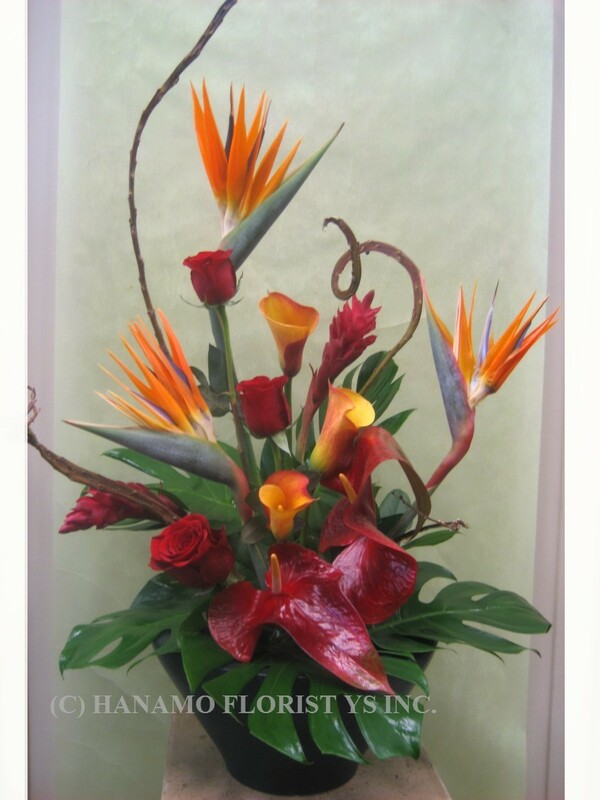 JAPANESE / Ikebana : Hanamo Florist Online Store, Vancouver, BC, Canada, Quality arrangements using a plethora of the freshest flowers. Our Ikebana Arrangements are available from $85.00 and up (exclude Valentine week and Mother's Day week). 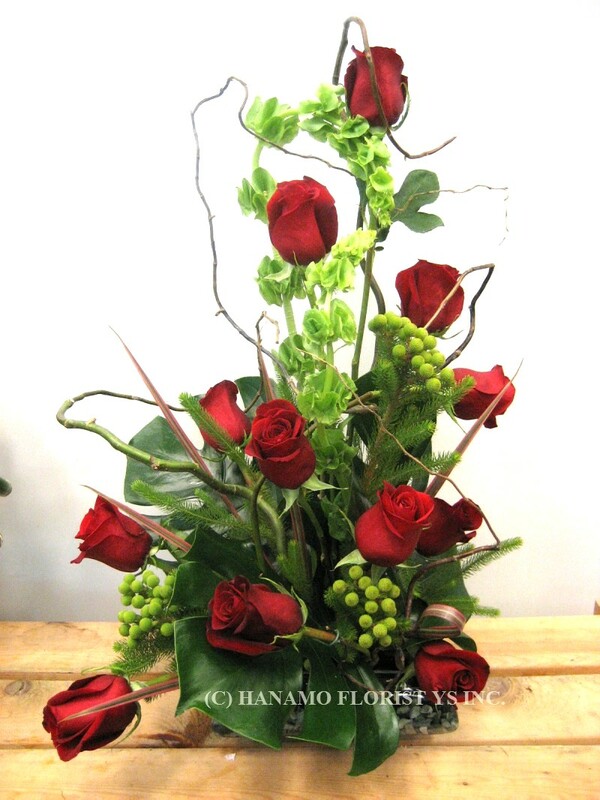 Prices for the arrangement include red roses may not be the same in the Valentine's Days (February 11 to 14th). This sample shows the medium size which is the home size. For the funeral/memorial service the large size at $175.00.is recommended. Premium Ecuadorian Large Red Roses arranged in the dark grey ceramic pot.